So, the cover seems to cost at around $100? Actually, it may cost more than that depending on the color you choose. Surface tablet will come with Windows RT installed on it. The OS should not be confused with Windows 8 pro version that runs on desktop machines. Here is the difference between Windows RT and Windows 8 Pro. Windows 8 RT will run on devices powered by ARM processors. There may be some more WinRT tablets coming along from other OEMs. 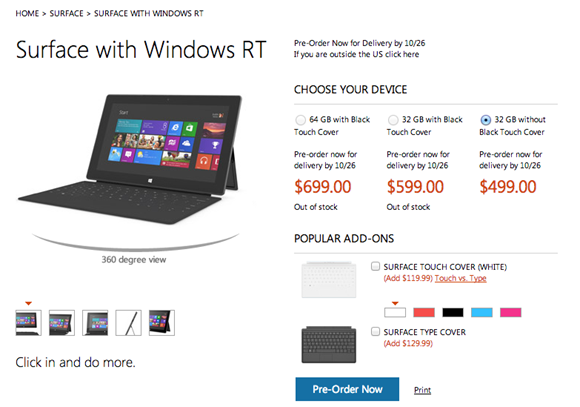 You can now pre-order the Surface tablet from Microsoft Store.